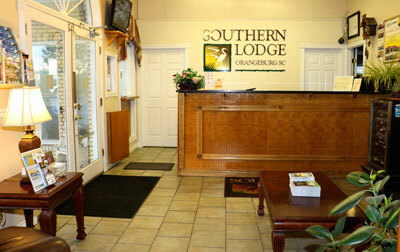 Welcome to the Southern Lodge! Take some time from the everyday bustle and discover the charming personality of our South Carolina Hotel, the Southern Lodge. 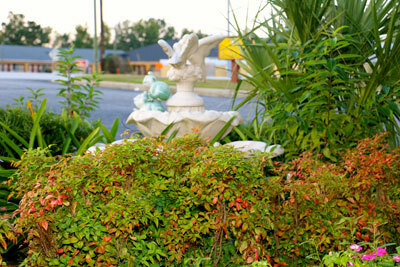 An affordable hotel in the Orangeburg, South Carolina area, we offer guests a slice of the quiet life and a glimpse into the quaint, seamlessly easy lifestyle of the south. Breathe in the fresh air and enjoy all we have to offer including complimentary breakfast, complimentary WiFi, easily accessible ground level rooms with drive up parking and much more. We’ve got everything you need for a quiet getaway. Join us and book a guest room or suite and enjoy your time here with features like free room-front parking, 24 hour check-in, fast speed wireless internet and thoughtful and responsive management and staff. And if you’re looking for a little adventure then it’s all at your fingertips. Nearby is everything from the botanical gardens of Edisto Memorial Garden to top notch golf courses, fishing, hunting and hiking. BOOKING FOR MINIMUM TWO NIGHTS ONLY. ALL BOOKING TO PAID BE FULL AT TIME OF BOOKING. DEPOSIT REQUIRED FOR INCIDENTALS AT CHECK IN. As the saying goes, what’s ours is yours. 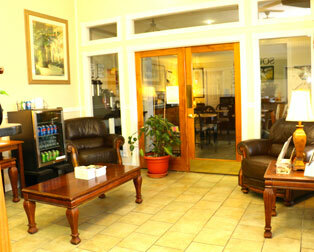 We think of our guests as family and invite all of you to make the most of your time at the Southern Lodge. Drop by our front desk to ask our staff for the names of the best BBQ joints in South Carolina or check our offers and promotions for the latest ways to save!